It wasn’t a united counsil that Tuesday evening met to discuss the budget increase for the 2014 Eurovision Song Contest, but in the end a majority was found. At the same time host broadcaster, DR, has now started the work with turning the raw factory building into a fantastic arena. The budget increase has been quite a farce in the Danish media: DR was unrightfully acused of using mafia threating methods despite that it wasn’t them who needed the money. Politicians went out speaking of moving the contest to Herning, even though it wouldn’t be possible anymore and so called experts called the ones involved with the planning of the 2014 Eurovision Song Contest for complete amateurs. EuroVisionary brought you the entire story a few weeks ago to clear up exactly what was going in. If you haven’t read, we recommend it for getting the full overview. Tuesday evening the politicians in the economy department of the Municipality of Copenhagen met to agree to pay the extra money needed which came to a total of 9,6 million DKK (1,3 million EUR). Two of the parties voted no (Liberal Alliance and Venstre) while one party voted blank (Konservative Folkeparti), but that wasn’t enough to stop the money as with the other parties a majority was still in place. Extra cost for the re-construction of the arena, more precise two bearing pillars, which was first without inspection estimated not to be bearing ones, runs up in 12,9 million DKK, which is to be split in three parts: Copenhagen Municipality pays 1/3, The Capital region pays 1/3 and Wonderful Copenhagen pays 1/3 = 4,3 million DKK. When building or re-building as in the case of B & W hallerne, it costs money to apply: Administration fee, architect plans etc. The ones making the original budget simply forgot to take this post into consideration. That bill is to be paid entirely by the municipality = 4,4 million DKK. In addition to these two larger posts comes 925.000 DKK for cleaning and traffic control of the roads. From Liberal Alliance, one of the parties that voted against the budget increase, Lars Berg Dueholm thinks that they deliberately went out with a too low budget in order to get the municipality on board – and then afterwards asked for an increase as they knew the politicians had no alternative than to say yes: "It might be deliberately ignorance – or what is worse. They come with a too low budget so it will be accepted, but if however it had been their own money, they would have come with a completely different budget, I am convinced about". He adds that he feels that him and all other Copenhageners have been scammed. It has previously been mentioned that when the needed budget was estimated the coming arena was full of containers and it was in a warm summer month. It was apparantly not possible to see what was behind the containers just as it was forgotten to take into consideration that the weather will be different in April and May than in a warm July and August. But with the 9,6 million DKK extra approved by the Municipality of Copenhagen things should look brighter on the financiual aspect of the contest. 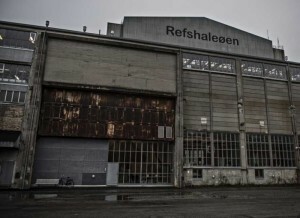 A few days ago DR went into the empty factory building starting to prepare for the 2014 Eurovision Song Contest. They are confident that they will be finished in time for the end of April when the first rehearsals starts.